In 2016, I purchased portable shortwave magnetic loop antenna designed and built by Paul Karlstrand in Australia. I posted a “preliminary” review of this antenna in 2016 and since then have taken this loop on many travels. In Canada last summer, I used the PK Loop on a number of field radio listening sessions. But what really sets the PK Loop apart from its competitors is its durability. PK’s Loops are built to be incredibly rugged. I routinely throw my PK Loop antenna in bags/packs and–unlike most of my other radio components–never worry about how it’s padded or protected. There’s little to damage unless you’re intentionally abusive to this antenna. My Grundig AN-200 antenna, on the other extreme, has exposed coated wires around its loop that I’m constantly concerned about harming in transit. Ron’s message reminded me that I never followed up after posting a preliminary review of the PK Loop C-LOOP-HDSW6-18 in 2016. Shortly after publishing the review, I had a fantastic opportunity to evaluate how well the PK Loop would perform in a typical hotel room. My buddies Eric (WD8RIF), Miles (KD8KNC) and I stayed overnight in a hotel on Wright-Patterson Air Force Base during our mini National Parks On The Air DXpedition. My Elecraft KX2 connected to an external random wire antenna. The hotel room was indeed dense with RFI. We hooked my Electraft KX2 to both the PK Loop and to a simple random wire antenna. Without a doubt, the PK Loop was much better at mitigating radio noise than the wire antenna we hung on the inside of the hotel window. Unlike most modern hotels, however, this one actually had operable windows, so we tossed the random wire out the window and made another comparison. In this case, the external wire antenna consistently outperformed the PK Loop, no doubt because it had the advantage of being outside the radio noise cloud within the hotel’s walls. It goes to show that outdoor antennas–even if simply hanging from a room window–will almost always outperform comparable indoor antennas. A late evening listening session on the condo balcony. Last summer, I also spent two months in a condo near Québec City. The condo was dense with RFI–the PK Loop made the experience much more bearable. The loop couldn’t completely eliminate all of the persistent wideband noise, of course, but it did reduce noise to a level that I could enjoy some of my favorites like RRI, VOG, VOT, REE, WRMI, RNZI and even weaker stations in North America like the BBC and DW. Even the shortwave version of the PK Loop can null out QRM to some degree by rotating the loop perpendicular to noise. I became quite adept at this by the end of our stay. Since I purchased the PK Loop, it’s been a constant travel companion and I highly recommend it. I don’t believe you’ll find a more durable or effective portable mag loop antenna on the market. PK Loops are built by Paul Karlstrand in Australia who has a stellar reputation with his customers. For those of us living outside Australia, there will be additional shipping costs, but they’re negligible and Paul has been exporting these loops for many, many years. I believe I received my loop within a couple of weeks of ordering it. Click here to view a PDF catalog of Paul’s loops and products. 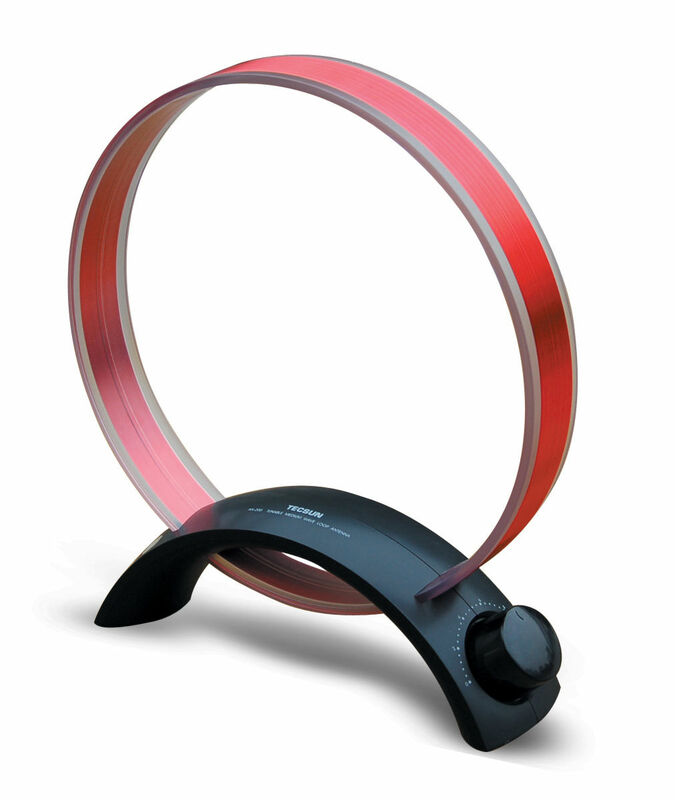 This year, I plan to purchase PK’s largest mediumwave loop, the model HDXLTAM that boasts a 20″ diameter. Please comment if you have experience with this loop or any of Paul’s loops! This entry was posted in Accessories, AM, Antennas, Mediumwave, News, Reviews, Shortwave Radio and tagged AM Antennas, Antennas, Mag Loop Antennas, Magnetic Loop Antennas, Mediumwave Antennas, PK Loop, PK Loop C-LOOP-HDSW6-18, PK Loops, PK's Loops, Shortwave Antennas on January 20, 2018 by Thomas.